Poker After Dark is back this week with "Rumble with Jungle" episodes featuring Dan Cates and Doug Polk. The streaming age of poker is in full force and with the return of Poker After Dark along with some of the biggest online poker series going on right now, there is no shortage of live games and tournament streams to consume online, most of them at no cost. A few weeks ago, the poker world saw the return of the show that got many interested in the game, Poker After Dark. And with it, we also saw the triumphant return of Tom “Durrrr” Dwan. The home of a revived Poker After Dark can be viewed at PokerGO for a subscription fee of $10.00 per month. The show is now livestreamed instead of recorded, edited, and aired on network television. This week’s PokerGO schedule includes three episodes of Poker After Dark entitled “Rumble with Jungle” (Days 1, 2, and 3) at 8 p.m. EDT. Tuesday’s episode features a $50,000 winner-take-all sit-and-go format including Daniel “Jungleman” Cates, Doug Polk, Jason Koon, Brian Rast, Isaac Haxton, and Frank Kassela. Wednesday and Thursday’s episodes will showcase a $300/$600 cash game with a $200,000 minimum buy-in. Matt Berkey and Nick Schulman will be taking the places of Koon and Kassela for those two episodes. Poker Night in America will also be streaming High Roller cash games from Montreal’s Playground Poker Club on Sept. 6 and 7 starting at 1:30 p.m. EDT as part of the World Cup of Cards currently taking place at the venue. Viewers can watch live on their Twitch channel with previous episodes available on their YouTube channel. StonesLivePoker is a free Twitch stream that also brings live poker action on a delay with live commentary, broadcasted from Stones Gambling Hall in Citrus Heights, California from 7-10 p.m. PT Mondays and Wednesdays, with special broadcasts for tournament final tables on other days of the week. This Wednesday on StonesLivePoker, there will be a $5/$10/$20 NLH game availabe on Twitch. Live at the Bike will also be bringing live cash games with commentary through Friday on Twitch, including $5/$10 NLH Tuesday, $20/$40 Limit Hold’em Wednesday, $5/$5 NLH with $5 antes Thursday, capping it off with a $25/$50 NLH game with a $5,000 minimum buy-in on Friday. All shows begin at 6 p.m. PT. Joey Ingram just did his debut show Monday on Live at the Bike, and he is scheduled for the 6 p.m. PT slot every Monday for the rest of September. 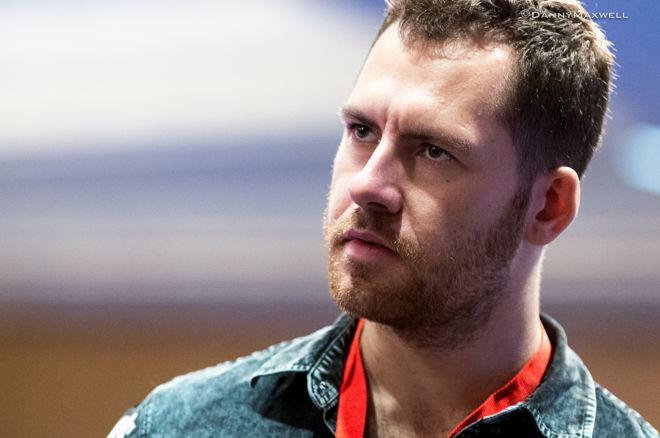 With WCOOP in full swing on PokerStars, the PokerStars Twitch channel has been hosting two of its newest Team PokerStars Online members, Fintan “EasyWithAces” Hand and Ben “Spraggy” Spragg, in a split-screen setup as they both play WCOOP events for a live audience. Called “WCOOP Action with Fintan and Spraggy,” they go on at 10 a.m. ET Tuesday-Thursday this week, then Sunday-Thursday next week at 10 a.m. ET again. Their schedule may vary depending on WCOOP scheduling and time zone differences. partypoker will also be hosting different streamers on their channel during Powerfest which began Sept. 3 and goes until Sept. 24. The following PokerStars Team Pros will most likely be streaming throughout the week. If they’re not streaming, they are often hosting the channel of a fellow Team Pro who is. Team GrindNation members Bryan Paris and Courtney Gee will also be streaming this week. Parker Talbot, also know as Tonkaaaa, of Team NeverLucky, is also streaming tournaments, and just today announced he is giving away a €13,500 WSOPE package along with 888poker through a homegame series on his stream. Which poker stream is your favorite? Let us know and we might include it in next week's This Week in Poker Streams.